A revolution is waged against a totalitarian regime in this “courageous” novel of a dystopian near-future America by a #1 New York Times–bestselling author (Chicago Tribune). In the heart of Philadelphia, insurgent Andrew Durant has been nursing a festering rage. And he’s not alone. Through underground networks, he’s found himself among a secret thousands, building an army called the Minute Men. They’re readying themselves for war to reclaim what was once America. In the nation now known as the Democracy, independent thought is a thing of the past. The Constitution is waste paper. A conscienceless president has been appointed by the military—for life. The government has co-opted farmland crops. Citizens are divided between two classes: wealthy corporations and the destitute. Areas of the country devastated by war or natural disaster remain unchecked. On behalf of national security, neighbors are instructed to spy on one another. Exposing those who are undemocratic is law. And all dissenters are eliminated. Durant, the chosen agent for the poverty-stricken rural Democracy, finds himself increasingly isolated and afraid. Mobilizing revolutionaries has become a dangerous tactic; the Minute Men have their own traitors, infiltrators assigned to undo everything Durant and his men are fighting to conquer. Now, the rebels have only their beliefs left to trust. 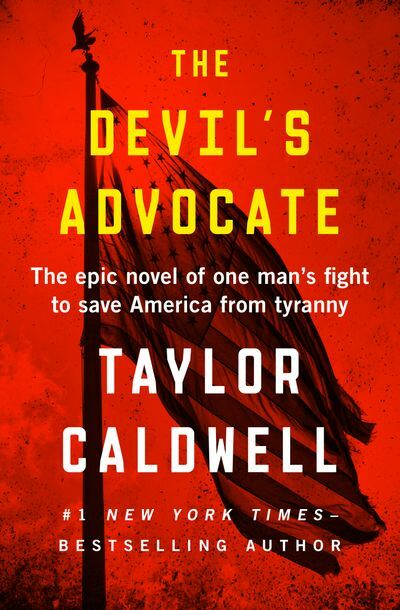 A stunning dystopian vision in the tradition of George Orwell’s 1984 and Ayn Rand’s Anthem, The Devil’s Advocate is author Taylor Caldwell’s “tour de force” (Kirkus Reviews). More than a half-century after its original publication, it is timelier than ever.